I went on a genealogy kick quite a few years ago (oh, okay, probably twenty-five years ago!) where I did a lot of digging and inputting, and put together a reasonably impressive family tree. I talked with a couple of older family members, and between a few of us, we found bits and pieces of other information too. 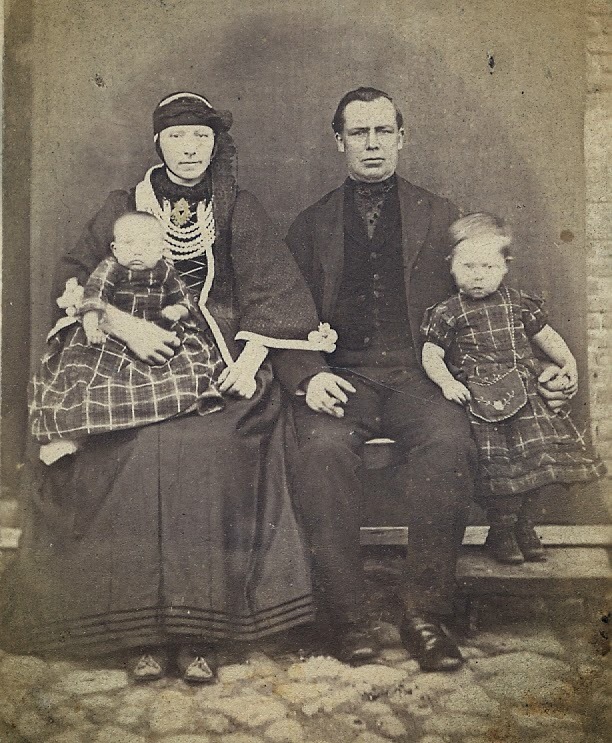 This photo is of my great-grandma (the little girl) who we named our daughter after, and was taken somewhere around 1877. I thought it was a lot of fun, but then there are kids to raise, meals to cook, laundry to wash... and somehow, tracking down genealogical information just never seemed to take place. In a couple week time period though, I had the chance to review a family tree computer program, and research by Genealogy Revelations. So my interest is rekindled. Anna has a number of genealogy research packages available. The one I received was a bit like the General Research Package, where she took the information I provided, and she worked on finding information for me, included a beautiful report, on acid-free paper, in a nice binder. This photo would be of the parents of the man that little girl married, and was probably taken around that same time. So the adults above and to the right are my great-great grandparents. What is really fun with this is that we discovered all kinds of names in the family tree that we've used with our kids. Not totally surprising, I suppose, as for the most part, we did use family names with our kids. But the variations on Katrina were fascinating. I have a great-great-great grandmother Katrina. I didn't know there were any Katrina's spelled that way in the family tree. There are a few Kathrina's on the other side of the family that I knew about (and it is where we got the name). But there are also two Catherina's in that family line, and a Catharina back there too. Dale's family has two Catherina's and a Catharina as well. I plan to do some school-y things with this new information. I want to map out where various people were born, especially as it would be interesting to see where in Germany my maternal grandmother's family came from, and compare that to where Dale's paternal lines were. It would be fascinating to compare their lives to a timeline of German history too, but I haven't done that yet. This information is fascinating, and I am so glad I have it! You can read other reviews at the Bow of Bronze blog. Many of them wrote much better reviews too. Check 'em out. And you can win a research package too! You really want to do that. Go back over and check out the Genealogy Revelations website. I can vouch for Anna's thoroughness and her professionalism. This was so fascinating! I have some neat history in my past too and would love to win this. What a neat review! 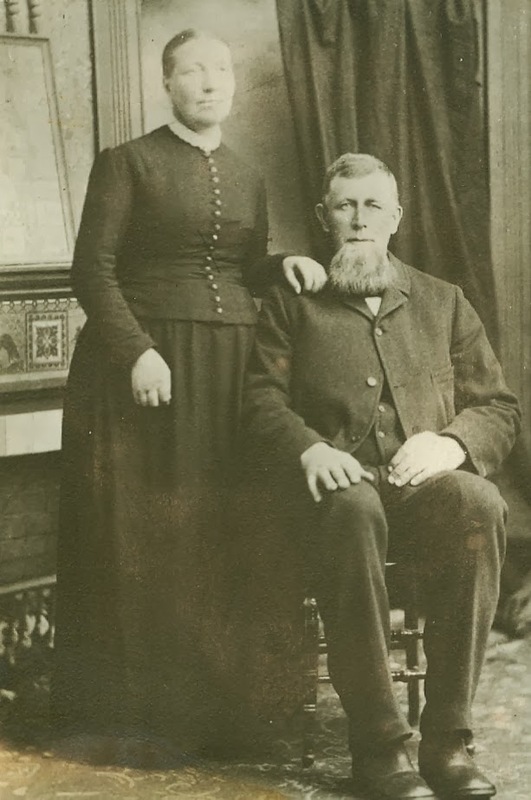 Found a William Brinkman in the family tree too. Born in Prussia in 1800. My William Brinkman got a kick out of that. I enjoyed reading this review! Thank you for sharing.